First thing first, lets us become familiar with SAS workspace. The SAS environment is designed to be easy to use, with windows for accomplishing all the basic SAS tasks. After you become familiar with the starting points for your SAS tasks, you are ready to use the full range of capabilities that SAS offers. Below shown is the method for you to use SAS windows to manage your SAS session, to work with files, and to process SAS programs. SAS remains the most popular and powerful tool for data management and statistical analysis. While other tools, particularly Stata, have similar capabilities and are easier to learn, most SAS experts have seen little reason to switch to SAS as SAS is a huge program and can handle any type and size of data. Many of its capabilities are geared towards the corporate environment rather than academia. But it would be impossible to cover even the most useful features in a single article. This article will focus on the data step and basics. After reading this article, you should be able to begin writing SAS programs to prepare your data for analysis right away. Linux SAS does have an interactive mode, but almost all Linux SAS users prefer to use batch mode. To run SAS in batch mode, you start by writing your program using your text editor. Once your program is written, you will give the command to run it in Linux. It will run quietly without displaying anything on the screen. However, when it has finished, you will find at least one and probably two new files. One is a log file, containing a record of what SAS did. This includes any error messages, so you should always look at the log after running a SAS program. If the program produced any output, it would be saved in a lst file. Both of these are text files and can be read using the same text editor you used to write the program. They can also be viewed immediately using the more command in Linux. What is the need of Analytics & What is making Analytics so Popular? 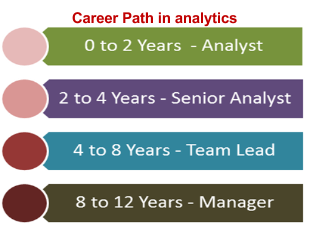 Analytics is used by a lot more people then we think; almost all uses analytics in one or other form to make either a business decision or personal decision. Let us say you want to go on holiday, what you do is try and search for possible holiday destination within the time and budget you have. Let’s say you being an owner of a small store observe on a daily basis your customer’s behavior& demand to adjust the stock in tread accordingly. On the above example, you just need a rational mind to do an analysis and take an analytical decision as the amount of data which you may need to process is small in size and can be handled by any rational human mind easily. Let’s take another example, almost all use smartphones now a day and many apps installed on it, including weather forecasting apps, that to be repeatedly. These weather apps look very sophisticated and easy to operate. It will tell what you should carry, a sunscreen lotion or an umbrella while planning for your weekend picnic. However, hardly few of us know that the amount of data gets generated and processed to make these all weather predictions are of such a big in size that within one and half hour, it can overflow this worlds all libraries!! The development of SAS began in 1966, the project was funded by the National Institute of Health and was originally intended to analyze agricultural data to improve crop yields. In 1972, after issuing the first release of SAS, the project lost its funding until it was funded by the University Statisticians of the Southern Experiment Stations the following year. The first versions of SAS were named after the year in which they were released. In 1971, SAS 71 was published as a limited release. It was used only on IBM mainframes and had the main elements of SAS programming, such as the DATA step and the most common procedures in the PROC step. The following year a full version was released as SAS 72, which introduced the MERGE statement and added features for handling missing data or combining data sets. In 1976, the project out was took out of North Carolina State and incorporated SAS Institute, Inc. In 2002 the Text Miner software was introduced. Text Miner analyzes text data like emails for patterns in Business Intelligence applications.